Fact #10 – Many fish humans consume have ingested plastic microfibers. Plastics are everywhere: in our furniture, construction materials, cars, appliances, electronics, and countless other things. According to a New York Times article (07/19/2017), the spread of plastic packaging is the main cause for the increase in plastic production. In 2015, packaging accounted for 42 percent of non-fiber plastic produced. That year, packaging also made up 54 percent of plastics thrown away. Want to know how much disposable plastic you use in a year? Check out EDN’s online Plastics Pollution Calculator. The list of items consumed daily include bottles, cups, straws, cotton swabs with plastic sticks, cigarette butts (who knew? ), resealable bags, cling wrap, eating utensils, stirrers, and food containers. For tips on how to reduce your plastic consumption, you can also download their Plastic Pollution Primer and Toolkit. Practice the 5Rs – Reduce, Refuse, Reuse, Recycle, and Remove (beach and river clean-up). Find out what others are doing in the USA and worldwide. The mindless dumping of our plastic waste and its mismanagement have come back to torment us. After over a century of enjoying the benefits of plastic, we must now start cutting back. Habits die hard. When will we humans learn? I know, it’s awful, plastic is everywhere and not enough of us are giving it up fast enough – and I include myself in that statement! I am heartened though every time I read of more people, young and old, taking initiatives and doing their best to change the way the world is working. Pauline, I also feel that I’m not doing enough. The tips provided by the Earth Day Network are a great help in that regard. An excellent wake up call. Those patches of plastics in the ocean sound absolutely horrendous. I do wonder though, how they can be disposed of? John, for ways of cleaning up the ocean, check out my reply to Claire Marie O’Brien. They sure are, Derrick. Based on the photos you share on your blog, the people in your corner of the world are more conscientious in their use of plastic products. The biggest problem for us is the confusion about recycling plastic. Different councils will only accept different types. Derrick, I have no idea what our council’s policy is and plan to learn more. At our apartment complex, only our cardboard waste is separated. A woman checks by daily for plastic bottles, but the rest of plastic goes in the dump. This is such critical information. Thank-you for posting it. If only this catastrophe WAS the result of individual human behavior. But for the most part, it’s not.Big corporate criminals create the conditions responsible for this horror. You know, I can’t even look at those ocean photos anymore. The gigantic concentrations of plastic really freak me out! I don’t believe those miles of ocean plastic can’t be cleaned up. It would be a long, difficult, very expensive process, but the combined technology and resources of the industrialized world can accomplish it. There’s just no will. But the world’s people can make it happen! ~ True, Claire, but our active, oftentimes mindless, participation brings their dream-child (Frankenstein?) to fruition. ~ The next dream-child already in production is AI – positioned to reduce production costs and maximize productivity. Oh, blessed day for humankind! 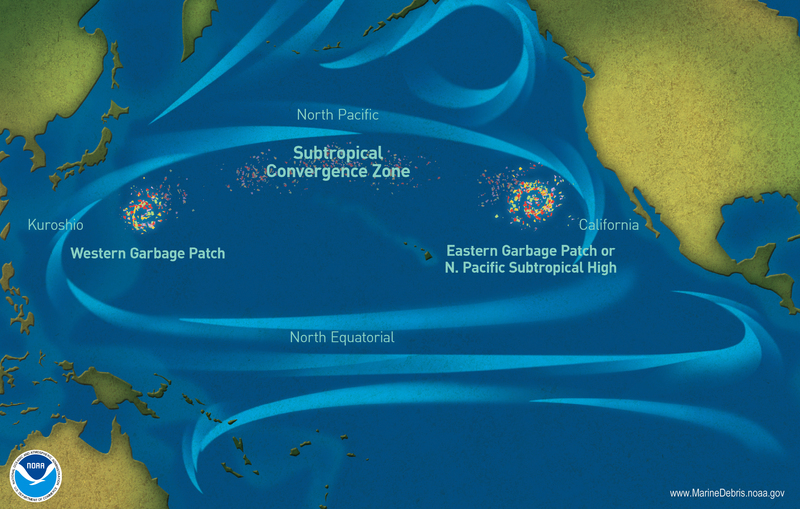 ~ The Ocean Cleanup Group, founded in 2013 by then 18-year-old Dutch inventor Boyan Slat, estimates that their full-scale system roll-out could clean up 50% of the Great Pacific Garbage Patch in 5 years. They are optimistic that in combining the cleanup with source reduction on land, we can achieve a plastic free ocean by 2050. Happy Earth Day everyone. Rosaline Bacchus writes weekly about protecting our earth. Today’s post is particularly stunning and meaningful to those of us fortunate enough to live in 1st World economies. Happy Earth Day to you, too, Bernadette. Thanks for sharing my post. By the way, the United States – the only First World economy on the list – comes in 20th position among the countries ranked by mass of mismanaged plastic waste (based on estimates for 2010). The top three countries, in descending order, are China, Indonesia, and Philippines. Cyril, your continued support is much appreciated. Have a great week. Hope that your island paradise is plastic-free. You are right, dear Rosaliene! The world needs less plastic, while the one that is used already must be recycled & used for other purposed. The house is brilliant! PS That Nigerian house is a GREAT idea! We could solve homelessness. I had the same idea, Claire: It would be a very loss-cost solution. A variety of model homes are available Online. Excellent post: reblogged this post! This is scary. Like a monster movie but real. I had heard of reduce, reuse, recycle, and now add refuse and remove. I have done all 5 of these Rs but can do better. Thanks for the motivation! I can also do better, JoAnna. Thanks for the link, Sha’Tara. I’m glad Earth Day organizers are picking up on a theme you and I both have been spouting off about for years. While I support efforts to recycle, I also know the plastics industry is relentless in its creative ways to “expand market share.” Everything from milk containers to vinegar and olive oil now come equipped with plastic tops and pull-out disposable sealers. That guy building a house with plastic bottles may find it won’t last. I tried storing water in plastic jugs, but sun, salt air, and heat destroy the integrity of the bottles and they burst into sharp little pieces within months. I shop with a canvas bag and take my re-usable (metal) coffee container everywhere. I poll grocery store cashiers, asking what percentage of people bring re-usable bags. Depending on the store, the percentage is from 5-40%. This is an improvement over previous years. I read about that plastic-eating enzyme, part of a bacterium. People have high hopes. I say let’s wait and see. I suspect plastics, nuclear leakage, and other human creativity will generate many mutant life forms in the coming years. A friend just told me of radioactive alligators found around the Plant Vogtle nuclear power plant site upriver from me. I take my own trash to the dump, another reason for minimizing waste. Yesterday, the landfill was so full that the attendant directed me to dump my trash on the ground. The landfill problem is getting ever more serious, and recently China has said it will refuse to accept waste from other countries. Trash is the US’ major export to China. Finally, I hope waste-to-energy plants will get more attention in future years. Germany is now importing waste to burn in its plants for energy. China has built over 400 of them in the past few years. I understand technology is improving and emissions negligible. Good post, as usual. Thank you, too, for this opportunity to vent. Katharine, I thought of you when I saw EDN’s theme for this Earth Day. Thanks for adding your voice to this critical issue. With the Chinese refusing to buy our waste, we’re going to have to find new ways of recycling our plastic waste. Perhaps we should follow Germany’s example. I suspect we have a lot to learn from many countries, should we rein in our hubris enough to recognize it. Even China, although I suspect a lot of the single-use packaging comes from there. Once again, the import-export business contributes significantly to single-use packaging, because of the boxes and insulation required for shipping. I wonder if a concerted effort to “Buy American” would reduce the necessity for so much packaging. Katharine, I don’t think that an increase in products Made in America will have much of an impact. Plastic wrapping has become part of the business model. Just look at all the packaging used for fresh produce in our supermarkets. I don’t expect significant changes, either, Rosaliene, just opportunities to raise awareness. By the way, I avoid plastic-wrapped veggies and re-use any plastic bags I use for fresh produce. I haven’t had to buy plastic wrap in years. This ban plastic initiative should have happened decades ago. Now our own water and salt are full of plastic microbeads. I agree, Dr. Bramhall. We-humans have a tendency to tackle problems only when they reach critical levels. Yikes! Thanks, Rosaliene. You are counting on our bravery to face the plastic, metatastic GIANT. We should all be as brave as you. Dr. Stein, I don’t see myself as brave in the face of this “metastatic GIANT.” I do what I usually do when faced with an insurmountable task: I take one step at a time and keep trudging forward. We may succeed or not. As the Guyanese Creole saying goes: Walk for nothing better than sit down for nothing. Since I read about that “accident” that created mutant enzymes capable of eating plastic I’ve had this end times scenario playing in my mind: when the enzymes run out of garbage plastic to eat, they swarm away from their garbage piles (assuming enzymes swarm, but whatever!) and simply go on a binge eating everything made out of plastic. Entire cities come to a grinding halt. Wars can only be fought with WW1 Lee Enfield type carbines; all communications exept word of mouth and smoke signals(!) stop; planes drop out of the skies… all because our plastic coated civilization is that vulnerable to such a possibe terminal cancer. The point: for every action their is an opposite reaction. All so true. No matter how hard I try and cut down on plastic usage I still find myself with a full bag of plastic to take to recycling. It seems unavoidable as everything we buy seems to be wrapped in it. How do we do without something that’s become so important to our way of life? I get the feeling most people just don’t realize what’s going on and even if they do, are so dependent on a system that depends on it, they feel they can’t do anything about it. My husband owns a printing business. Printing on fabric is one of the products heavily used in the retail market for displays. It is touted out by the print industry as being sustainable but in order for it to work the print substrate has to be polyester. It is not environmentally friendly, green or any other word they like to call it. I suppose I should do whatever I can to propose we don’t sell that product but then we lose business and that means income. I’d say we’ve put ourselves (and so many other life forms) in quite a pickle. Mara, thanks for dropping by and sharing your own frustration. On my work desk alone, I’ve counted 22 items made of plastic. It would run into the hundreds if I were to count all the plastic articles in our two-bedroom apartment. Our task in reining in this monster we have created will require action on all fronts. This is so so distressing and you’re right, it’s a challenge to cut back. I’ve started by bringing my own cup to restaurants, because, what I’ve found out is that although establishments have recyclable cups, they DON’T recycle them! They throw them in the trash. Kathy, awareness of our plastic usage is key. We’ve also got to start refusing plastic eating utensils and drinking straws. Unfortunately, even if you try, its very hard to stay away from plastic, of course we all should try to do something about, but I believe meanwhile governments do nothing to ban plastics, and give us viable alternatives, the problem will not stop. Myself grew up in a World yet without plastics, now it seems so far, and impossible to get rid of that pest! Growing up in Guyana, I don’t recall such a proliferation of plastics. Where there’s lots of money to be made, control is difficult. Interesting observation from “The Graduate” movie. That was back in 1967. Subliminal advertising from the industry? Plastics are polymers, a huge part of the petrochemical industry profit. Follow the bouncing ball! We all have to start paying attention to what we are buying containing plastic!!! Forgive the intrusion but i wrote this post regarding plastic pollution on my blog. Please read it and provide feedback or ideas on how we can improve this deathly situation. Kavita, thanks for dropping by and reading my post. You can check out my comment on your post.